Road construction and sewer work is difficult for drivers this time of year. But it's even harder on small businesses that are in its path. It takes a special kind of patience to sit it out when customers can't park on your street and don't think you're open. That's the case of half a dozen small shops in the 300 block of west Second Avenue. They've endured weeks of torn up streets right outside their front door and that has not been good for business. So give them some love. Make a plan this week to brave the construction, park a short distance away and visit Serendipity Boutique, Eclectic Gifts, Finders Keepers, Anemone Paper Flowers, Lolo and Vintage Hill Winery. The street construction work isn't going to last forever, but to these businesses it seems like it. Please go shop there this week. This summer, there is additional road construction all over town. Please try to visit other businesses in these areas. They'll be happy to see you! Josh Wade's Nectar Tasting Room at Main and Stevens is having their first ever Wine and Dine dinner on Sunday, July 17. Guests will start with a sparkling wine as they mingle. When dinner begins they will enjoy one wine from each of the five Nectar Tasting Room wineries paired with a different course. Every guest will leave with a special gift as well. The evening of wine and dine is just $59. 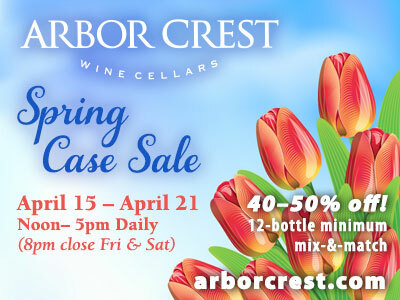 Call Nectar Tasting room at 509-869-1572 for more details. Women Helping Women Fund has promoted Lisa Diffley to become its first Executive Director since the fund's inception in 1992. She joined WHWF in 2007 as its Executive Coordinator and has played a key role in raising and awarding $1 million in grant and scholarship funding over the past four years. Diffley holds a BS in Psychology from Washington State University; was a government contract family law paralegal; and managed a family law practice. She currently serves on the Board of Trustees of a privately held foundation and has a diverse background in board service and community volunteerism. Diffley is responsible for the daily operations of the fund; works closely with the Board of Directors; and actively supports communications, allocations and fundraising efforts. Women Helping Women Fund, celebrating its 20th anniversary in 2012, has invested over $4 million in local programs assisting women and children in need and crisis. WHWF's annual fundraising luncheon continues to be the largest plated event in Spokane. Come celebrate the life and work of the late Sandy Ayars, an SFCC graduate and lifelong artist and graphic designer who passed away on January 14, 2011. The show is at the SFCC Fine Arts Gallery, Building 6, 3410 W. Fort George Wright Drive. The show runs through July 28. Summer gallery hours are Monday-Thursday from 10am - 2pm. Price: Free. For more information call 509-533-3710. Patrice Lynn recently joined Lydig Construction, Inc. of Spokane and Bellevue as the Director of Education and Training. Patrice will lead Lydig University, a unique program designed to provide mentoring and formalized training for Lydig employees and business partners. She was previously in her own coaching business and has gained an extensive list of certifications from organizations such as The Covey Leadership Center, ActionCOACH Business Coaching, International Coach Federation and The Coaches Training Institute. Dine out with some delicious Italian food to benefit the Spokane AIDS Network this Thursday, July 14th, 4pm-10pm at Luigi's Italian Restaurant, 245 West Main. Come have dinner, then enjoy live music beginning at 8:00 in the Lounge. Luigi's will donate a portion of the night's proceeds to SAN. This is the first of a quarterly event at various venues to benefit SAN. Unleashed Online Marketing has become Google's newest AdWords Certified Partner. Unleashed is one of twenty Google AdWords Certified Partners in the state of Washington and the only company east of the cascades to have the distinction. Being an AdWords Partner means that Unleashed is promoted by Google to work with businesses to support their online advertising campaigns, and means that Google may start sending client referrals to work with Unleashed for campaign management services. "We're proud to be the first company to attain AdWords Partner Certification in the Inland Northwest," says Chris Reilly, the company's founder, "but we hope to be the first of many. Quality internet marketing helps Spokane area businesses compete on a global stage, and can bring more dollars and jobs to the region. We hope to be a part of a vibrant local web marketing community in the coming years." Unleashed has been growing rapidly in the past several months, including hiring 4 full-time employees. They recently signed a lease on an additional 1,000 square feet in the Central Pointe building to support future growth. Unleashed is planning on adding several more sales and technical positions in the coming year. Unleashed Online Marketing is one of the leading providers of internet marketing services in the Inland Northwest and has helped hundreds of companies rank for 1,000s of Keywords on Google, Yahoo, and Bing, generating over 1,000,000 clicks for their clients through organic and local searches. Unleashed Online Marketing is BBB accredited and has helped a diverse set of clients locally as well as throughout North America and Europe. Brick and mortar businesses, eCommerce retailers, manufacturers, universities, national franchises, non-profits, and many other types of organizations rely on Unleashed Online Marketing to provide quality advice and services to improve their online traffic and sales. The website is unleashed-online.com. Cenex Zip Trip is teaming up with the Salvation Army of Spokane to help provide backpacks for the upcoming school year. Throughout the month of July, you can donate one-dollar ($1) towards a backpack full of required school district supplies. It's simple, just stop by any Cenex Zip Trip and donate a dollar to Backpacks For Kids. Even better, anyone who makes a donation will receive a coupon good for a free 12 ounce coffee or free 22 ounce fountain drink. The Salvation Army's annual Backpack For Kids drive is the largest in the area. Just four years ago, The Salvation Army handed out 367 backpacks, while last year, they distributed more than 2000. This year, they anticipate an even greater need, and are gearing up for a distribution of 2,500 to 3,000 backpacks. Last year, they were able to meet the need and supply backpacks to every child, thanks to the $14,000 raised by Cenex Zip Trip! They hope to surpass that this year! If you are interested in talking to Cenex Zip Trip or visiting a donation location please contact Ian Johnstone at Cenex Zip Trip, 509-535-7701. The Lincoln Center event facility at 1316 N. Lincoln has announced the expansion of its food and beverage services to include two top professionals. Chef Evan Ellison, has assumed the role of Executive Chef. Chef Ellison, originally from the Seattle area, brings his distinctive style and culinary creativity to The Lincoln Center. Chef Ellison formerly served as Executive Chef for some of Spokane's more select restaurants including Churchill's Steakhouse and CI Shenanigans. Ryan Biesen has taken on the role of Food and Beverage Director for The Lincoln Center. 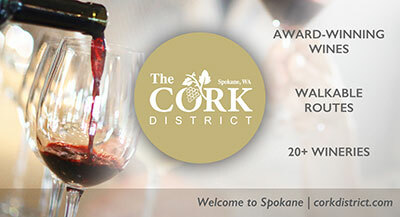 Biesen is also Spokane's only certified Sommelier. Biesen previously held that position at The Spokane Club. His revisions to The Lincoln Center's beverage program include an improved wine list with special attention to Washington wineries. He has also begun staff training to refine and enhance the overall guest experience. With Biesen's expertise and connections to all the region's winemakers and wineries, combined with Chef Ellison culinary ingenuity, they look forward to working together to create a series of winemaker dinners at The Lincoln Center this fall. Originally a historic 1920s Art-Deco Mission style building, The Lincoln Center opened in the spring of 2009 after an extensive upscale renovation. It offers close to 30,000 square feet of flexible space and has earned a reputation as Spokane's premier event place and is the venue of choice for numerous community events, non-profit fundraisers, galas, weddings, proms, performances and a variety of corporate events and meetings. The phone number is 509-327-8000 and the website is thelincolncenterspokane.com. It seems today that everywhere you look, businesses are adding QR codes to their collateral and advertising endeavors. A QR code, (abbreviated from Quick Response code) is a specific matrix barcode (or two dimensional code) that is readable by dedicated QR barcode readers and camera telephones. The information encoded may be text, URL, or other desired data. Common in Japan, where it was created by Toyota subsidiary Denso-Wave in 1994, the QR code is one of the most popular types of two-dimensional barcodes. The QR code was designed to allow its contents to be decoded at high speed. Originally used for tracking parts in vehicle manufacturing, QR codes now are used in a much broader context, including both commercial tracking applications and convenience-oriented applications aimed at mobile phone users. QR codes may be used to display text to the user, to add a vCard contact to the user's device, to open a Uniform Resource Identifier (URI), or to compose an e-mail or text message. QR codes storing addresses and Uniform Resource Locators (URLs) may appear in magazines, on signs, buses, business cards, or almost any collateral or marketing initiative, traditional and social, in which users desire additional information. Prospects with a camera phone equipped with the correct reader application can scan the image of the QR code to display text, contact information, connect to a wireless network, or open a web page in the telephone's browser. While the QR code's functionality has increased in popularity, it most certainly isn't winning any beauty pageants. The code consists of black modules arranged in a square pattern on a white background. With the increased use of QR codes across multimedia channels, it was due for a makeover. An avid smart phone user, Hara Allison, Creative Director of STUDIO H Advertising & Design, was enthusiastic about encouraging her clients to use QR codes in their marketing endeavors. However, she found it hard to defend adding an element designed to support the brand that wasn't, well...branded. "It's the designer in me-branding was mandatory...not to mention the fact it just looks better than a black and white square of dots." stated Allison. "That's where we came up with the 'QuteR codes'. Companies are able to add their logo or other design element within the traditional QR code, customizing them, and have it still translate properly. STUDIO H offers this service to all clients looking for QR codes or looking to add their brand to an existing QR code. For more information on how to obtain a QR code, or to commission a "QuteR codes" for your business, check out the STUDIO H website at www.smallagencybigideas.com, or contact Kristi Erban at 509-342-9232 for additional information. For the third year A Grand Welcome will be assembling Gonzaga Orientation "Welcome" packets for the incoming Freshman. They are looking for local businesses that would like to sponsor an ad welcoming them to the area. There are two options to choose from in getting your message in front of the students. But you need to hurry. Deadline for full color ads printed on the folders is July 15th. Contact Karin Kassinger at A Grand Welcome at 509-534-5214. the website is agrandwelcome.com. Spend a summer evening with GSI at the Steelhead Bar & Grille, 218 N. Howard, for a 'Business After Hours' event Thursday, July 21 from 5 to 7 pm. Bring plenty of business cards, enjoy a cool drink from a no-host bar, make new business contacts and have fun. This event is free for GSI Members, $10 for Non-members.